SERVPRO of Cape Girardeau & Scott Counties is your professional local biohazard cleanup and restoration company. Our heroes are highly qualified and experienced. “Unforeseen” situations happen. We clean up the scene to make it “Like it never even happened.” Our heroes have cleaned up biohazard scenes at local restaurants, hotels, homes and more. Exposure to biological and chemical contaminants can pose serious health consequences. A failure to properly remove such substances can contribute to unhealthy and dangerous environments. 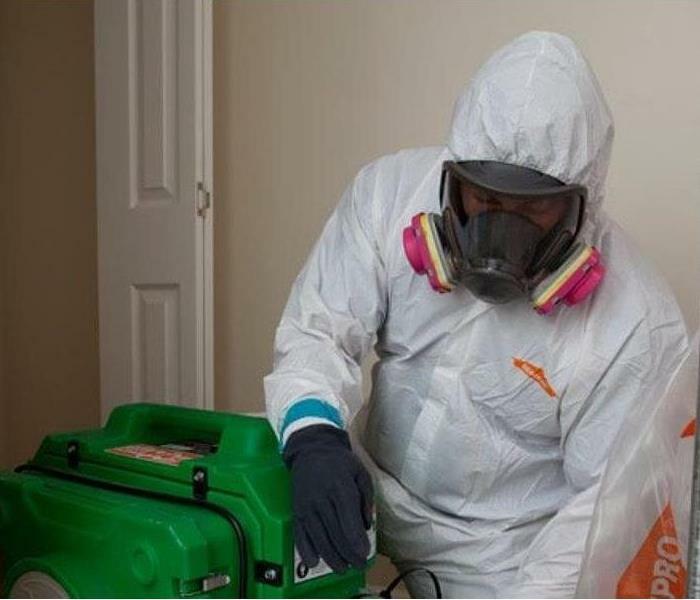 SERVPRO of Cape Girardeau & Scott Counties is trained to safely remove biohazards and dispose of them properly in accordance with OSHA and health regulations. If your home or business is in the Cape Girardeau, Sikeston, Scott City, Charleston, Marble Hill, Jackson, Perryville, Chaffee, East Prairie and Benton, Missouri, area and needs a professional biohazard cleanup and restoration company, count on SERVPRO of Cape Girardeau & Scott Counties.